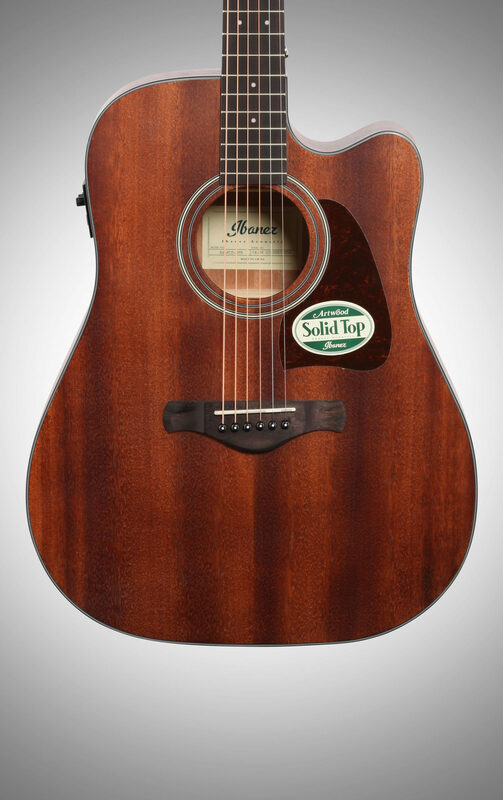 The cutaway dreadnought body shape of the Ibanez AW54CEOPN Artwood acoustic-electric guitar, and solid Mahogany top offers full-bodied, well-rounded bigger-than-expected sonic response. 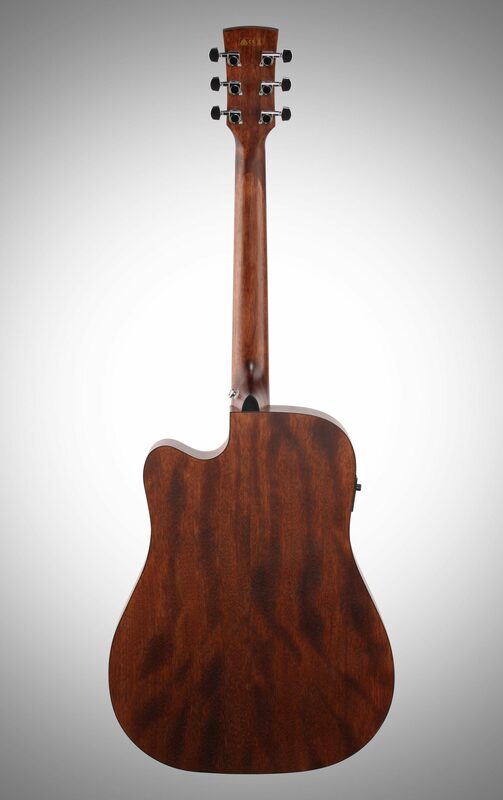 The guitar's Mahogany top, back, and sides, breathe freely thanks to a special open pore finish treatment, giving it a full, rich, open sound. A Fishman Sonicore Pickup accurately translates that full sound to whatever amplification system you plug it into, while the Ibanez AEQ210TF preamp provides the extra punch of on-board EQ, and the convenience of an easy-to-read digital tuner located on the upper bout. A simple, clean, black-and-white multi rosette handsomely appoints an understated flat finished top. Ibanez Chrome die-cast tuners ensure smooth, accurate, stable tuning. 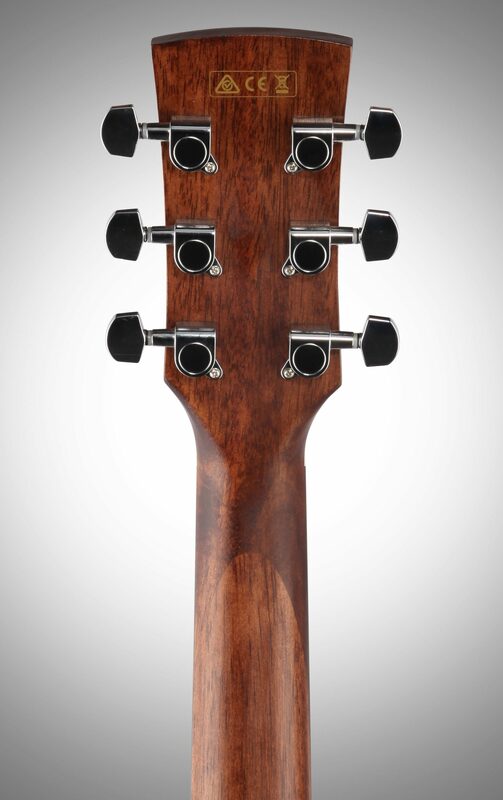 The Artwood series is the embodiment of what might be called the Ibanez "modern approach to tradition." Cutting edge woodworking technology enables the guitar maker's luthiers to reproduce the sophisticated bracing techniques of one-of-a-kind instruments of yesteryear. 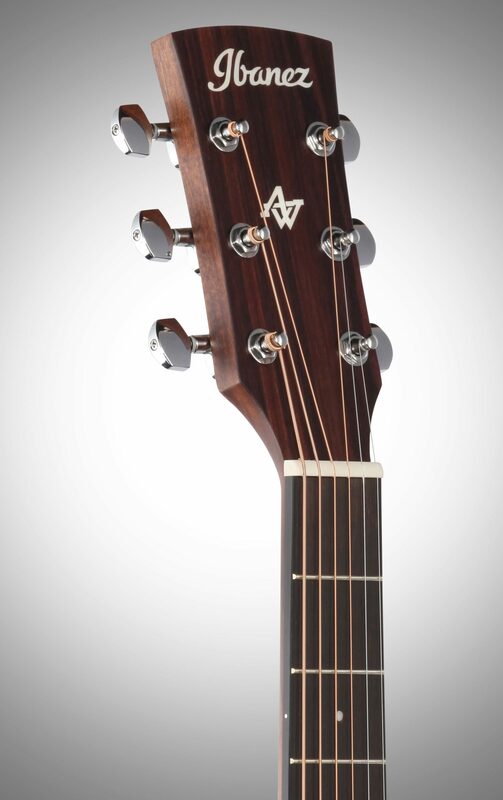 While tradition is obviously the hallmark of the Artwood series, the company's decades-long search for the ultimate in acoustic tone has contributed to design alterations that give Artwood a voice all its own. Overall: This guitar blew my expectations out of the water. Having previously bought an art wood series ibanez, I knew you could get decent quality without emptying your bank account, but I was extremely impressed with this guitar. Came without a scratch or problem on time that was quoted to me through the pay as you play program (excellent for cash strapped musicians with a dream!). The pictures do the finish little justice as it is beautiful in person. 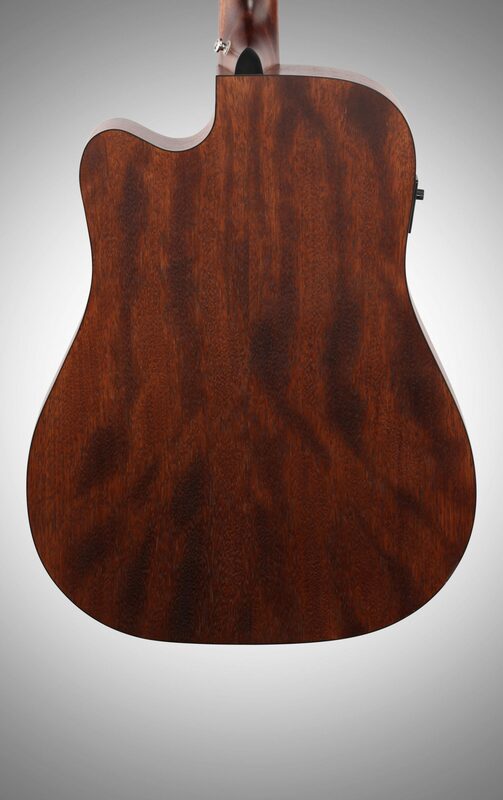 The open pore natural finish really brings texture to the surfaces and encompasses the entire guitar. The tuner has never gave me a problem and does a pretty accurate job. No fret buzz, no dents or dings, no warps or bad craftsmanship. Came out of the box in tune (gasp!). Then I played it. Its amazing to me you can get such a quality of sound from such a cheap instrument. I have always kept to cliche "you get what you pay for" when it comes to instruments, but this guitar is, in my opinion, worth so much more. 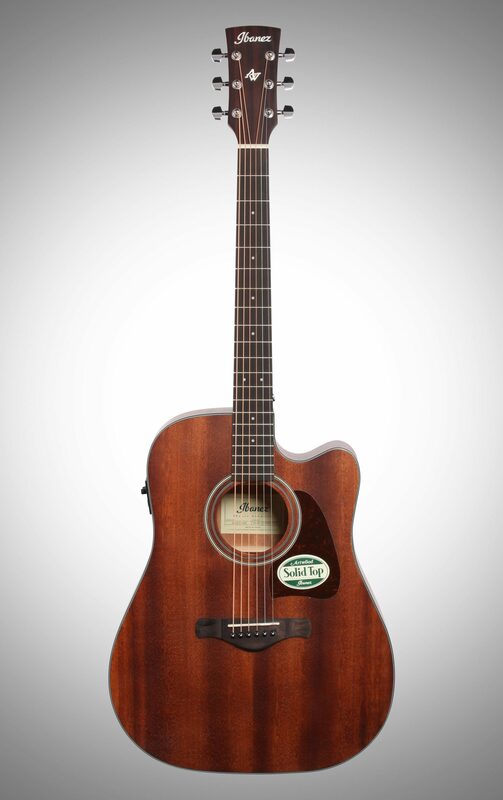 I highly recommend to anyone who wants a quality guitar at an affordable price. I have yet to record or play it through an amp, but I am positive it will not disappoint. As far as features go? I mean its pretty straight forward with an on board tuner and has a few options to adjust amped sound. About as much as you'd expect. As far as manufacturer support i give it a default 5 star rating just because it has no problems and isn't deteriorating into crap but I haven't had any reason to contact them so...Moving on, you absolutely can not beat the quality of this guitar for its price. 10/10 in my book and I haven't had a single regret even after a few months it still holds solid. Style of Music: You name it i've probably had a hand in writing, producing, or performing it. Overall: For the money, I'm not sure you'll find a better value. 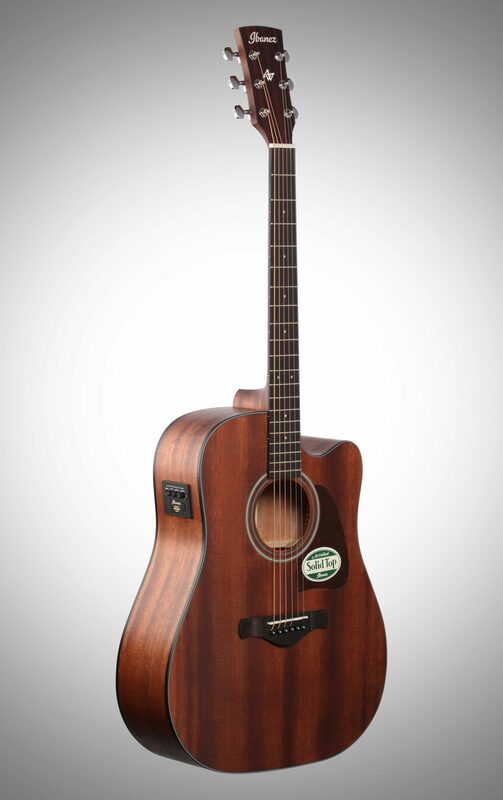 You usually expect a guitar in this price range to sound bad... Not this one. I was very impressed with the quality of tone, especially plugged in. I've owned at ton, martin, gibson etc... 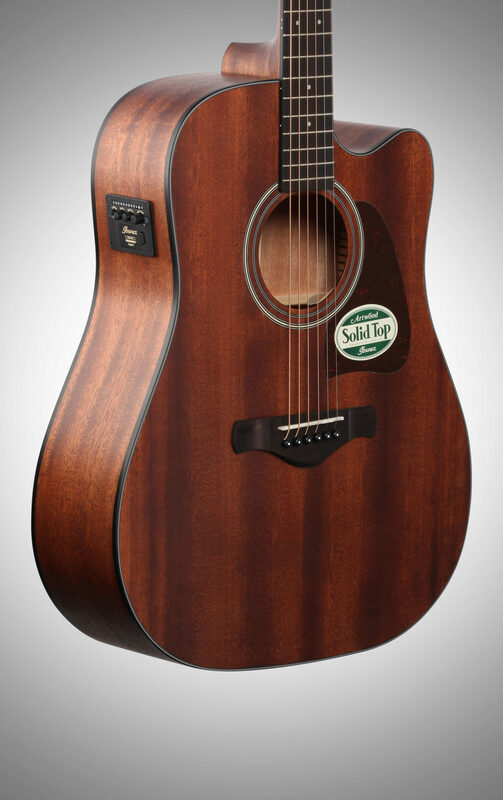 While this is not a Martin, at this price Martin, Taylor & Gibson has nothing that will compete with this tone per price.